Given Microsoft’s huge stake in government, and the natural inertia that legacy IT and supplier relationships can produce, the ODFers are both relieved and happy that UK.gov went their way rather than stick with what they have and knew in Office. Unfortunately for ODF, it’s largely limited to the desktop. While there are millions of these machines in government, desktop-based software doesn't feature in either Microsoft or No.10's strategic direction. Office 365 is Microsoft's main product aimed at the documents and collaboration market – the software giant is pushing this heavily while revenues for desktop Office are slowing. Indeed, Redmond claims Office 365 is the fastest growing business line in its history. Last week it claimed to have 5.6m users. Software-as-a-service, meanwhile, just happens to be the direction that No.10 wishes to go in, too. No.10 wants to cut IT spending and it’s doing this in part through the G-Cloud purchasing framework for government. The idea here is to stop buying licenses for on-premise software or entering multi-year deals with large technology suppliers. Rather, the government wants smaller deals with software purchase being carried out as a service. You pay more in the long run, but the up-front cost of the service is lower. And here’s the problem for anybody hoping this week is the beginning of the end for Microsoft in the UK government: Office 365 works with ODF and is on G-Cloud. If you still want to cling to the desktop, Microsoft has added full ODF support - after years of dragging its feet - in Office 2013. You could call it pragmatism, or surrender, or the fact Microsoft has chucked the community a concession just as Office on the PC has stopped being as strategically vital as it was in the 2000s when Microsoft came up with OOXML. The only big SaaS alternative is Google, with Docs. This does not support ODF and is not listed on G-Cloud – instead you need to go through small suppliers. ODF fans’ biggest success story has been the City of Munich, as mentioned above with those 15,000 PCs going OpenOffice and Linux. But that was a major upgrade project which started before Google Docs was a glint in Larry Page’s eye, and long before Office 365 entered Steve Ballmer's mind as a riposte. Eleven years later, with cloud-based document services coming at a lower up-front cost, a huge Munich-style upgrade in Whitehall is completely at odds with the dynamics of our times and so is unlikely to happen. In short, ODF is last decade’s battle and the victory has been overtaken by the future. But let’s back up. I don’t buy into the idea the cloud is the only future and the desktop is dead. There are millions of acres of documents, written in dying formats supported solely by old versions of Microsoft’s Office. The data in those documents needs to be liberated and ODF is seen as the way to do this – modern-day editions of Office also support ODF. Just don’t expect to install open-source OpenOffice on the desktop and open your old Microsoft Office docs. It won’t work – many documents won’t display properly. Even worse, macros – the thing that makes Office really unique – don’t work in primary ODF suites. Making old Office docs work in ODF suites will be the new battle. It’s here that the new opportunity will slowly open, with companies other than Microsoft scrabbling to enter into IT projects with government to make ODF suites work with their macros and make their Office docs work properly in these new, open-source suites. That means an opportunity will open up for IBM, a patron of the ODF standard from the beginning. 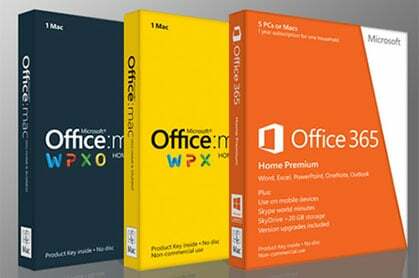 The company is also a backer of the Apache OpenOffice project. It means work for a host of SMBs, too – the kinds of companies that have worked on getting Munich’s once-Microsoft-dominated IT infrastructure working on open source.